Collects AQUAMAN #0 and 14-16 and JUSTICE LEAGUE #15-17. Aquaman, who long ago lost contact with his people, must watch as armies emerge from the sea to attack the surface world. The Justice League answers the call to defend the shores from the invading Atlantean horde. But whose side is Aquaman on? 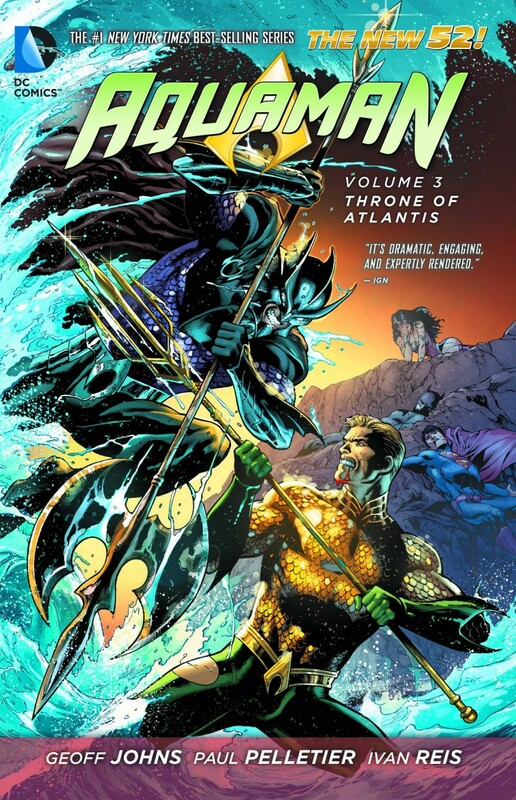 With his brother Orm at the head of the undersea army, will Aquaman stand with his Earth-bound super team or his own people?